The Department of Justice (“DOJ”) has recently announced that Adventist Health System Sunbelt Healthcare Corporation (“Adventist”) has agreed to pay the government approximately $2.09 million to resolve healthcare fraud allegations that Adventist patients were administered unused portions of single-dose chemotherapy drugs that were left over from previous patient. The settlement also resolves other healthcare fraud allegations that certain other drugs were administered inappropriately, that certain infusion services were upcoded, and that some patients had to be admitted for treatment as a result of the foregoing practices, the DOJ said in its press release. As part of the settlement, Adventist has agreed to pay the nurse who brought the False Claims Act (“FCA”)/qui tam healthcare fraud suit against the healthcare provider in 2013 an approximately $400,000 whistleblower award. The DOJ’s announcement regarding the settlement and whistleblower award marks the end of a nearly two-year investigation into the alleged healthcare fraud at Adventist. The DOJ said that the events that made up the basis of the whistleblower’s qui tam lawsuit occurred between 2007 and mid-2011, and resulted in the submission of improper claims to federal government healthcare programs, including Medicare, TRICARE, and the Federal Employees Health Benefits Program. In January 2012, Adventist voluntarily self-disclosed certain of the aforementioned conduct to the government and repaid some $800,000 plus in monies it had falsely claimed from the government. The DOJ said that Adventist will receive a credit of the $800,000 plus it has already paid against the larger $2.09 million settlement it agreed to. The settlement with the nurse-whistleblower represents one of several whistleblower suits that Adventist has agreed to settle since early 2015. Unfortunately, one of the prior settlements also involved allegations over the care of cancer patients. In that lawsuit, Adventist was alleged to have administered radiation treatment to patients without meeting the necessary supervision requirements set forth under the applicable federal regulations. In conjunction with the settlement of that suit, Adventist agreed to pay the government approximately $5.5 million, with another $1 million plus being paid to the whistleblower-oncologist who reported the wrongdoing. In September 2015, Adventist agreed to $115 million to resolve other FCA allegations, which claimed that Adventist had violated the FCA by maintaining improper compensation arrangements with referring physicians and by miscoding claims. Specifically, the DOJ claimed that Adventist submitted false claims to the Medicare and Medicaid programs for services rendered to patients referred by employed physicians who received bonuses based on a formula that improperly took into account the value of the physicians’ referrals to Adventist hospitals. This is true, despite that fact that federal law restricts the financial relationships that hospitals and clinics may have with doctors who refer patients to them. The multiple settlements with Adventist show that healthcare fraud is a recurring problem, and one that many believe is quickly becoming rampant across the healthcare industry. For example, Medicare and Medicaid alone spend nearly ten percent of their overall budget to fight against fraud, which represents nearly $100 billion in additional costs. These increased costs are ultimately felt by the US taxpayer, whose taxes fund Medicare and Medicaid. 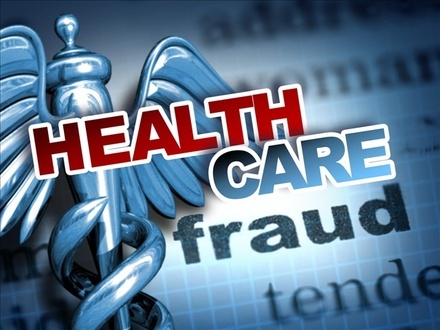 Beyond the enormous cost that healthcare fraud creates, is the safety of those patients that are the victims of the lax or objectionable business practices of these fraud peddling healthcare providers. In the aforementioned cases, patients were put at risk by the administration of shared chemotherapy drug vials, the improper administration of other drugs, and the unsupervised administration of radiation treatment. If not for the efforts of those courageous whistleblowers outlined above, many more patients would have been put at risk by Adventist’s alleged healthcare fraud.